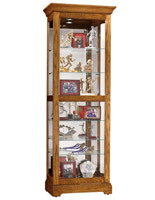 A No-Reach™ light located on the cabinet back to provide easy access to lighting. 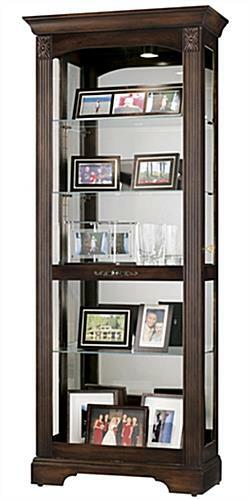 A side-to-side sliding, locking glass door to provide easy access to, as well as security of, your collectibles. 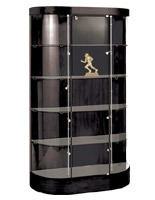 An antiqued brass doorknob and backplate add stylish flair to the glass door. 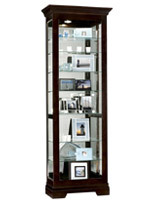 Interior halogen lighting provides a whiter, brighter, more natural way to showcase your items. 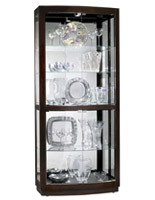 The glass curio cabinet, also known as a wood cabinet, is an excellent wedding, anniversary, or other special occasion gift. 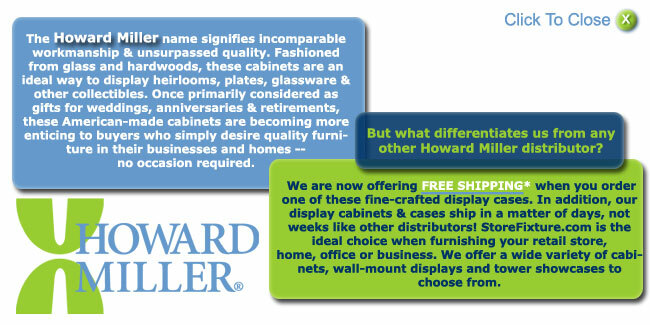 The Howard Miller cabinets are also becoming immensely popular as purchases for one's own home. 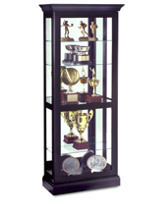 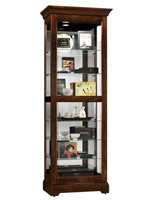 This glass display is the ideal glass curio cabinet for any person seeking a high quality, long-lasting, beautiful piece of furniture.